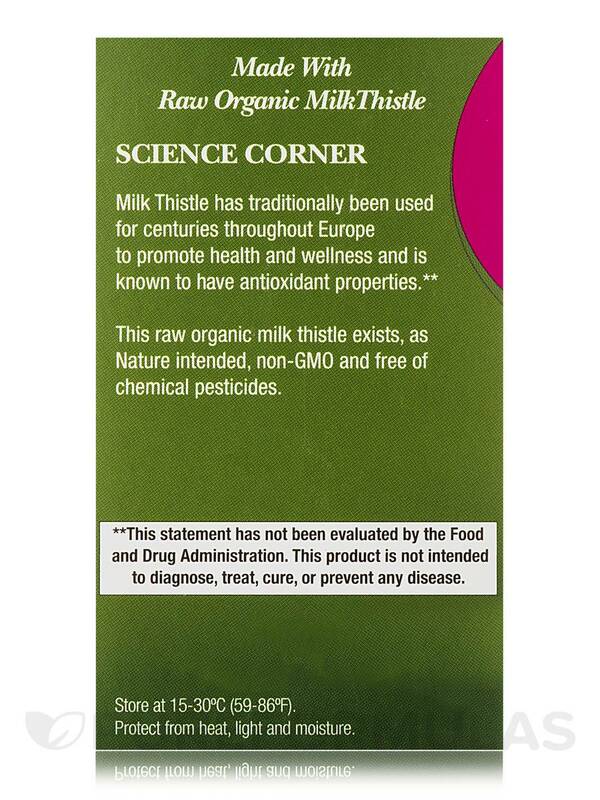 I have been taking Certified Organic Milk Thistle by Genceutic Naturals for some time. So proud that it is organic and it is usually always on sale! I needed to be taking Milk Thistle as I was on some heavy duty detox meds and needed to protect my liver. 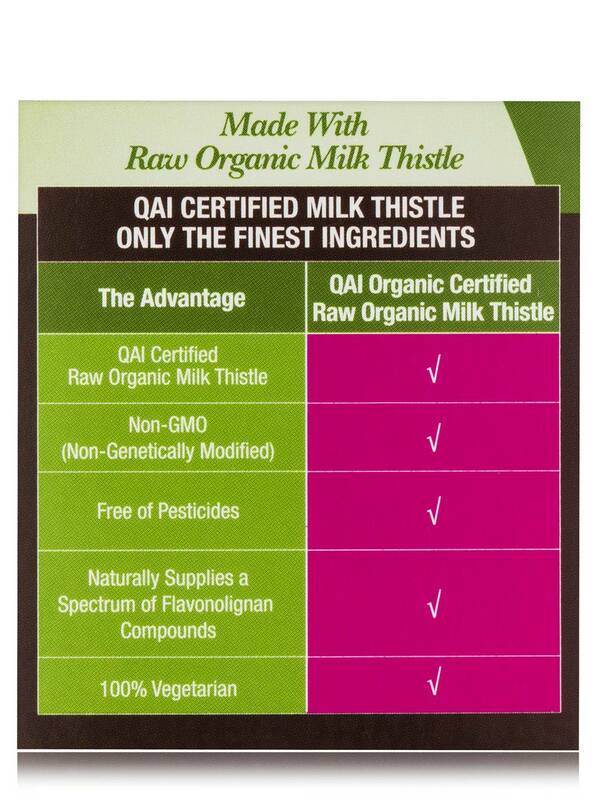 Certified Organic Milk Thistle by Genceutic Naturals is organic! I've been on them for 6 months now. Easy to take! 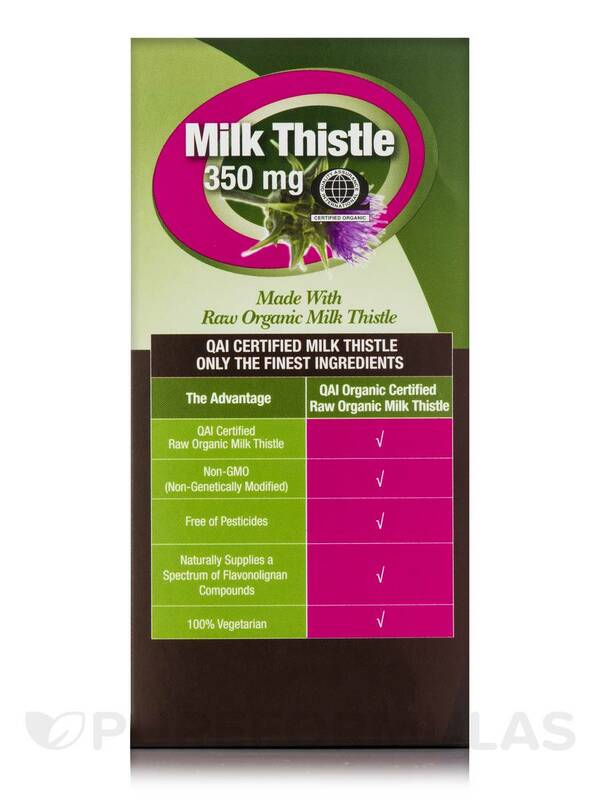 My husband has been taking Certified Organic Milk Thistle 350 by Genceutic Naturals for about 8 months now. He can tell a difference when he runs out. It's great to cleanse the liver (which he has a fatty liver), so this is a great product for him. 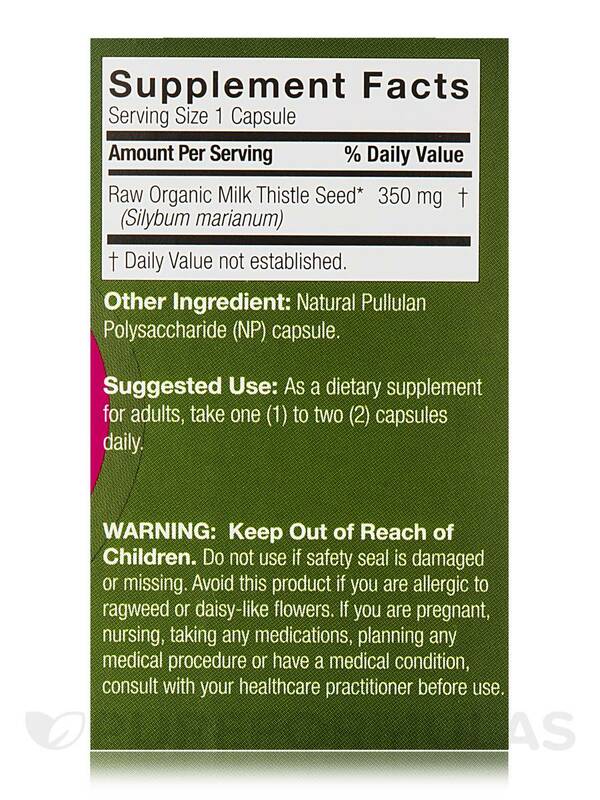 Milk Thistle is a member of the daisy (Compositae) family. It is indigenous to Europe and North America and grows in fields. 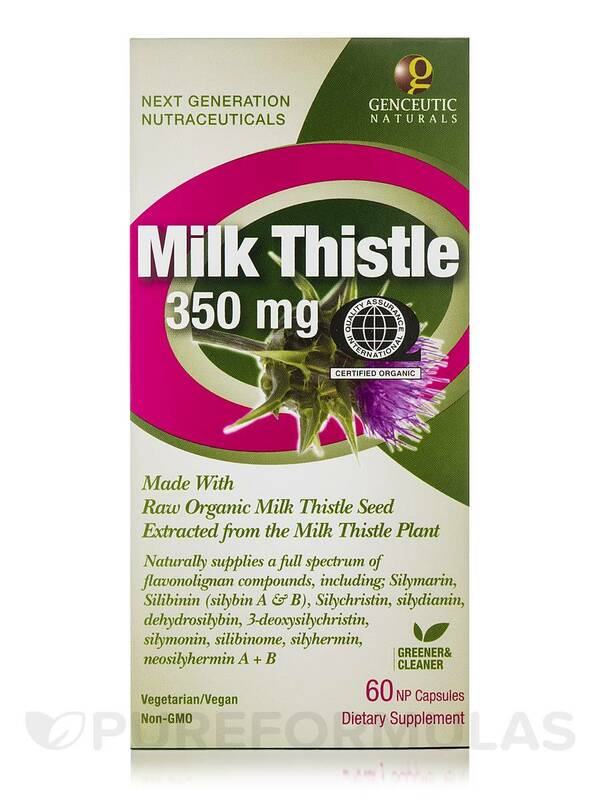 Milk Thistle has large‚ purple flowers surrounded by a sharp array of thorns‚ hence its name‚ "Thistle". 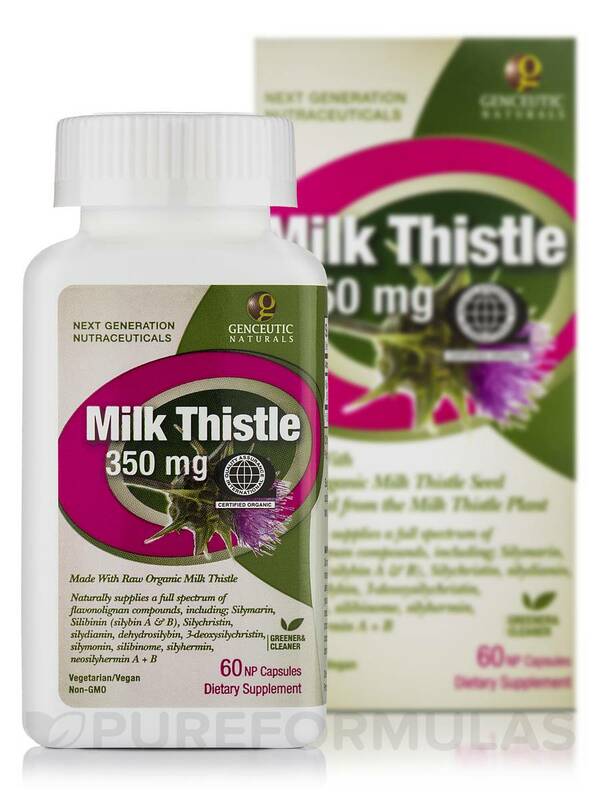 The active components in Milk Thistle are flavonoids collectively called Silymarin; and the majority of Milk Thistle-related research has been conducted on this component. 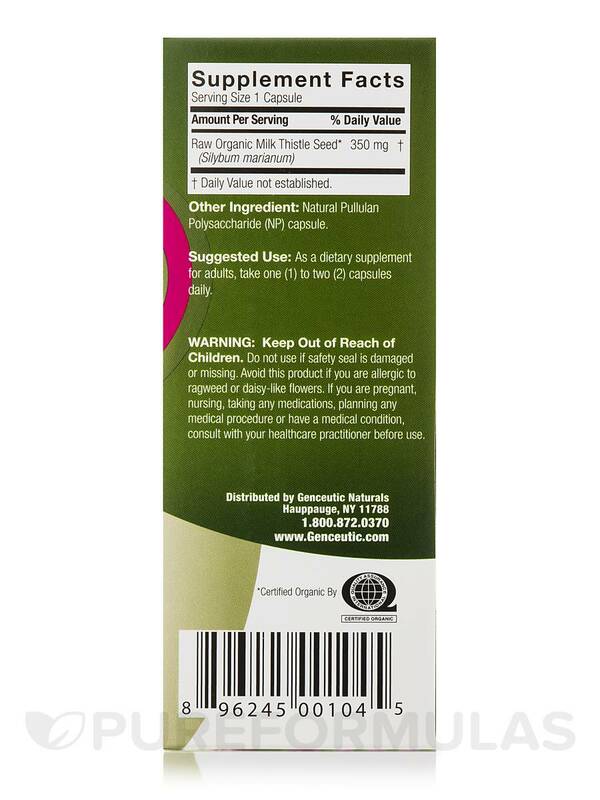 1) Supports normal healthy liver detoxification. 2) Protects liver against harmful toxic substances. 3) Promotes glutathione production (an important antioxidant) in the body. 4) Extracted from Organically Grown Milk Thistle. 5) Free of Chemical Pesticides‚ Herbicides‚ Fungicides and Synthetic Fertilizers. Other Ingredients: Natural Pullulan Polysaccharide (NP) capsule. As a dietary supplement for adults‚ take one (1) to two (2) capsules daily. If you are pregnant‚ nursing‚ taking any medications‚ planning any medical procedure or have a medical condition‚ consult with your healthcare practitioner before use. Store at 15-30°C (59-86°F). (Protect from heat‚ light and moisture). Liver Support and it works! 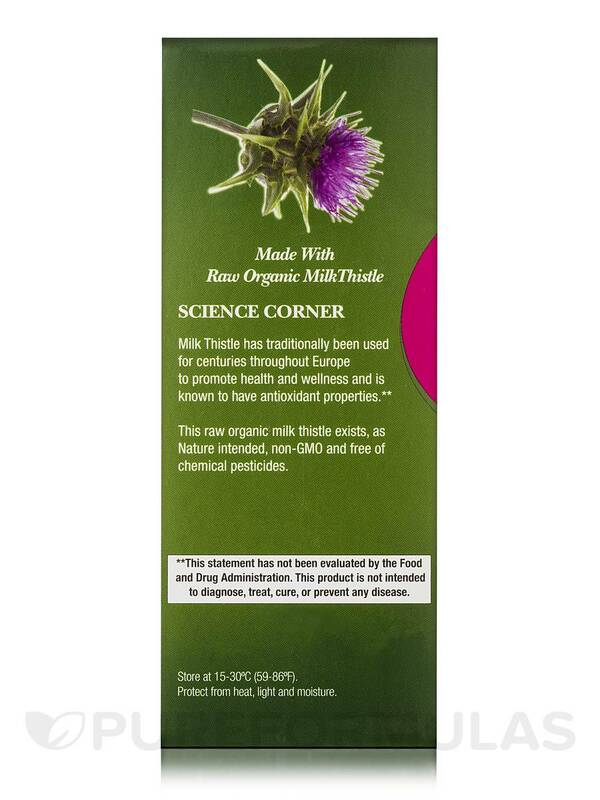 Are there any side effects to taking milk thistle? Hello Mary, thank you for contacting us at PureFormulas. Since nutrients work in different ways from person to person, we recommend contacting your practitioner.